Draft: 2010, Texas Rangers, 10th rd. Batted .217 (10-46) with 2 doubles and 5 RBI in 38 games over 3 stints with the Rangers (5/23-6/12, 7/6-25, and 9/6-end of season), his 1st major league action…appeared in 22 of the club's final 24 games with 2 starts in that span…was the club's primary pinch runner and defensive replacement in right field throughout September. November 6, 2017 CF Jared Hoying elected free agency. October 10, 2017 Texas Rangers sent CF Jared Hoying outright to Round Rock Express. September 4, 2017 Texas Rangers recalled CF Jared Hoying from Round Rock Express. June 19, 2017 Texas Rangers optioned CF Jared Hoying to Round Rock Express. May 16, 2017 Texas Rangers selected the contract of Jared Hoying from Round Rock Express. May 15, 2017 Round Rock Express placed OF Jared Hoying on the reserve list. January 24, 2017 OF Jared Hoying assigned to Round Rock Express. December 13, 2016 Texas Rangers signed free agent OF Jared Hoying to a minor league contract and invited him to spring training. December 2, 2016 CF Jared Hoying elected free agency. September 6, 2016 Texas Rangers recalled CF Jared Hoying from Round Rock Express. July 26, 2016 Texas Rangers optioned CF Jared Hoying to Round Rock Express. July 6, 2016 Texas Rangers recalled Jared Hoying from Round Rock Express. June 13, 2016 Texas Rangers optioned CF Jared Hoying to Round Rock Express. May 23, 2016 Texas Rangers selected the contract of Jared Hoying from Round Rock Express. March 2, 2016 OF Jared Hoying assigned to Texas Rangers. 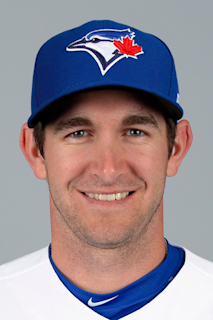 January 23, 2015 Texas Rangers invited non-roster LF Jared Hoying to spring training. March 1, 2014 LF Jared Hoying assigned to Texas Rangers. September 27, 2013 Round Rock Express activated CF Jared Hoying from the 7-day disabled list. August 23, 2013 Round Rock Express placed LF Jared Hoying on the 7-day disabled list. June 7, 2013 LF Jared Hoying assigned to Round Rock Express from Frisco RoughRiders. May 21, 2013 Jared Hoying roster status changed by Frisco RoughRiders. February 24, 2013 OF Jared Hoying assigned to Texas Rangers. December 1, 2012 LF Jared Hoying assigned to Leones de Ponce. June 22, 2012 LF Jared Hoying assigned to Frisco RoughRiders from Myrtle Beach Pelicans. April 4, 2012 OF Jared Hoying assigned to Texas Rangers. March 31, 2011 Jared Hoying assigned to Myrtle Beach Pelicans from Spokane Indians. March 3, 2011 OF Jared Hoying assigned to Texas Rangers. June 15, 2010 Texas Rangers signed OF Jared Hoying. June 15, 2010 Jared Hoying assigned to Spokane Indians from Texas Rangers.